The Union Home Ministry is constituting an inter ministerial central committee for the spot assessment of damage and admissibility of claims of the states hit by Cyclone Ockhi, an official said on Thursday. The committee will visit the spot and submit a detailed report to the Ministry within certain period about the loss of property caused by Ockhi that hit Tamil Nadu and Kerala on November 30. The Home Ministry official said that Tamil Nadu and Kerala were in the process of preparing memorandum of seeking central assistance. Kerala Chief Minister Pinarayi Vijayan said on Wednesday that his government has sought Rs 1,843 crore from the Central government to mitigate the damage caused by Cyclone Ockhi. Kerala has also demanded Rs 300 crore for immediate relief. Cyclone Ockhi, which in Bengali means ‘eye’, went on make landfall in Lakshadweep on December 2 and caused extensive damages to houses, power lines and other infrastructure in the islands and coastal areas of Tamil Nadu and Kerala. It dissipated near the south coast of Gujarat on December 6. The Home Ministry official said that thousands of houses and large areas of standing crops were damaged due to the cyclone. 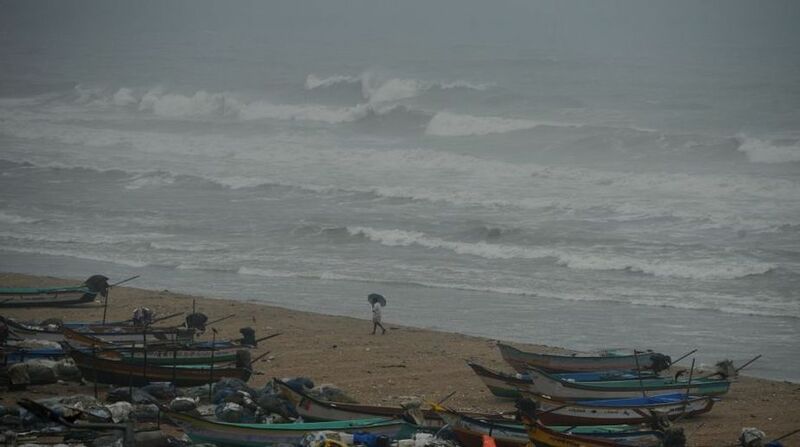 He also said over 2,391 people from Tamil Nadu and 8,566 from Kerala had been evacuated far while over 600 fishermen of both the states are still missing after the cyclone rampaged through parts of south and western India. As many as 433 fishermen from Tamil Nadu and 186 from Kerala were yet to be traced, the official said, adding that that house-to-house verification process was going on and a final figure of the missing fishermen would be known once the process was over. Several fishermen had ventured into the sea in boats and “small crafts” before Ockhi approached the coastal region, authorities say. The anxiety is about the people who had gone in such small vessels. As of now, 63 people have lost their lives in Kerala and 14 in Tamil Nadu during the cyclone.